The Company has closed its previously announced sale of $130 million of convertible notes to Mubadala. The Notes have a 5-year term, bear interest at a fixed rate of 5% per year and are convertible at the holder’s option into common shares of the Company at a conversion price of $1.05 (C$1.38) per share. Of the total gross proceeds of $130 million, $120 million was immediately available at closing and used to re-pay in full the $85 million Aurizona construction facility and the $20 million Mesquite acquisition facility provided by Sprott, terminate the associated Aurizona production-linked payment obligation to Sprott and for certain other transaction fees and expenses. Remaining proceeds from the Notes will be restricted until the submission for registration of certain security documents, the completion of certain additional post-closing documentation and the satisfaction of customary conditions. Pacific Road Resources Funds holds a pre-existing non-dilution right pursuant to an investment agreement dated May 7, 2015. Pacific Road has indicated it intends to exercise its non-dilution right, subject to agreement with respect to terms of the issuance. If exercised, the Company will issue up to approximately $9.7 million in additional convertible notes to Pacific Road on the same basis as the Notes. The Company has converted its $100 million Mesquite acquisition facility into a senior secured $130 million corporate revolving credit facility with the existing syndicate of lenders led by the Bank of Nova Scotia. The Revolving Credit Facility matures on October 30, 2022, at which date it must be repaid in full, and incurs interest at an annual rate of LIBOR plus 2.5% to 4%, subject to certain leverage ratios. 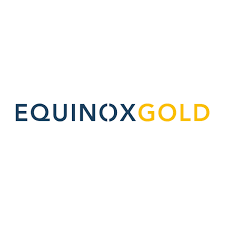 Equinox Gold is a Canadian mining company with a multi-million-ounce gold reserve base, gold production from its Mesquite Gold Mine in California, and near-term production from two past-producing mines in Brazil and California. Commissioning is underway at the Company’s Aurizona Gold Mine in Brazil and the Company is advancing its Castle Mountain Gold Mine in California with the objective of ramping-up Phase 1 operations in early 2020.